The mysterious gambler who won $10 million on last year's Super Bowl has placed a $1.5 million bet on the Los Angeles Rams for Super Bowl LIII. 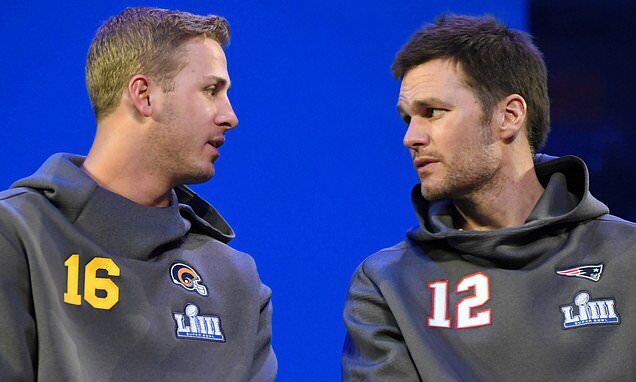 The unidentified bettor took money-line odds of +120 on the Rams to beat the New England Patriots in the championship game on Sunday in Atlanta, paying out $1.8 million if the Rams win, the Las Vegas Review Journal reported. The bet was placed through the William Hill mobile app, which confirmed to the newspaper that the gambler was the same individual who placed $7.4 million on various money-line bets on the Philadelphia Eagles in Super Bowl LII. In that game, the underdog Eagles beat the Patriots 41-33. According to the Review-Journal, the mystery bettor also cleaned out bookies for millions of dollars in the 2017 World Series.